Guangdong Aobote Energy-Efficient Equipment Co., Ltd.
3. Apply to dry fruits, vegetables, meat, herbs, nuts, and other kinds of food. A4: We can arrange the shipment about 5-25 days after the payment or deposit. We will refune some of sample fee after placing the purchase order. Material: Stainless steel Functional parts: Heating element, fan, timer, thermostat, trays, etc. We always choose the most economical and reliable shipping company to make sure you receive the goods in time. The BL and tracking number will be provided to you once the consignment is shipped. 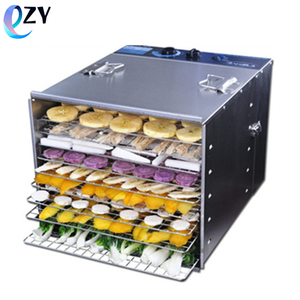 Foshan Good Deal Electrical Appliances Technology Co., Ltd.
&curren; Good Drying Quality Low temperature dehumidification drying, articles does no damage, no moldy and basically no bad product. &curren; Running Stable, operating easily Automatic intelligent control and demands no human duty after setting. IKE industrial is a modern high-tech enterprise focus on design and produce heat pump water heater, heat pump dryer, floor heating and Air conditioner . It makes the hot efficiency increased from 3-7% of traditional oven to nearly 40% . It makes country save plenty of energy source and increase profit of enterprises. u The machine has low noise and stable running . Professional and correct installation can make equipment work steadily, avoid unnecessary trouble, and decrease a lot of maintenance cost. The stainless steel fabrication is a essential part of the commercial kitchen. Our factory have strong custom capacity,which can make any shape,any size of stainless steel products according to the kitchen layout. Dryer machine is low noise, running balance, temperature control, easy installation and maintain; 6). During the time ,if the machine get in trouble we will guide you to repair first. 2. Where is your factory located9 Our factory is located in Jiaozuo city, Henan province, welcome to visit. 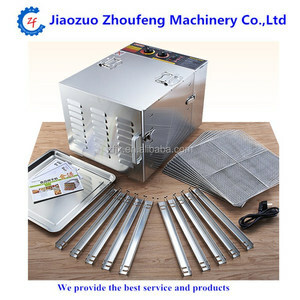 Alibaba.com offers 12,352 commercial dehydrator products. About 3% of these are drying oven, 1% are food processors, and 1% are dried vegetables. 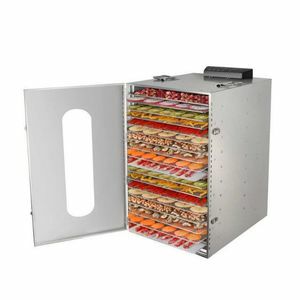 A wide variety of commercial dehydrator options are available to you, such as free samples, paid samples. 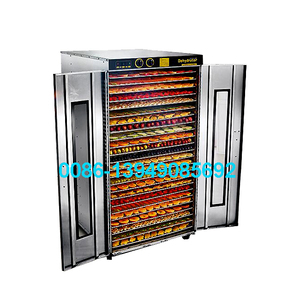 There are 12,435 commercial dehydrator suppliers, mainly located in Asia. The top supplying countries are China (Mainland), Thailand, and India, which supply 99%, 1%, and 1% of commercial dehydrator respectively. 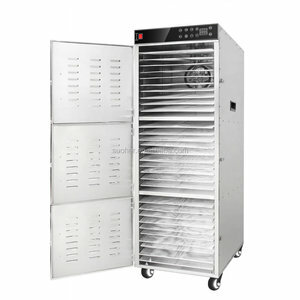 Commercial dehydrator products are most popular in North America, Domestic Market, and Southeast Asia. You can ensure product safety by selecting from certified suppliers, including 2,570 with Other, 1,758 with ISO9001, and 442 with OHSAS18001 certification.